"We were so blessed to have contacted ERA Caputo Realty and have the opportunity to work so closely with you over the last several months. Your patience, understanding, professionalism, and dedication were apparent throughout the process." "We can unequivocally say that you are wonderful at what you do and enjoy what you do. Knowledge is power you have knowledge of the real estate market. 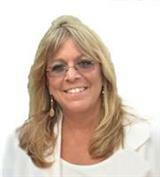 We will remember your name, should a friend or family member need a realtor." "It is still unbelievable to us how available and responsive to issues you were. It felt like you were working exclusively for us 24/7." There are few New York neighborhoods more attractive than New Hyde Park, NY. Finding a home in New Hyde Park can be any homebuyer’s dream, as long as you partner with Grace Desiderio, a top broker in New Hyde Park, NY to make home research, selection, and purchase a simple and painless process. This beautiful community has been a welcome home to New York residents since 1683. The convenient, central Long Island location makes New Hyde Park great for commuters. From Manhattan to many other New York communities, New Hyde Park is within easy range of both busy metropolitan areas and local rural destinations. Whether you’re looking for a place to raise a family or seeking a comfortable home outside of the fast pace of New York City, New Hyde Park is the place for you. Paired with ease of access to New York’s night life and historic sites, there’s never any shortage of things to do in New Hyde park. Varied and multifaceted, New Hyde Park offers a wide variety of homes. Whether you’re looking for single-family or multi-family residential life, the neighborhood offers home options as diverse as its friendly and welcoming community. First-time buyers and new families can find their first starter home, and more established buyers will find great houses and townhomes to settle into for the long term. With a solid foundation in the industry, Grace Desiderio has worked with countless home buyers to find the house that suits their needs. With many satisfied clients and a reputation for ethics, Grace delivers a track record of success uniting buyers with sellers to facilitate transparent, hassle-free transactions that leave both parties satisfied. What are you waiting for? Connect with the best real estate broker in New Hyde park, NY to start browsing home listings in New Hyde Park, NY. Discover the house that’s been waiting for you, and take the first steps in making that house your home today.